Do you love going to comic conventions? Do your friends think you’re weird? 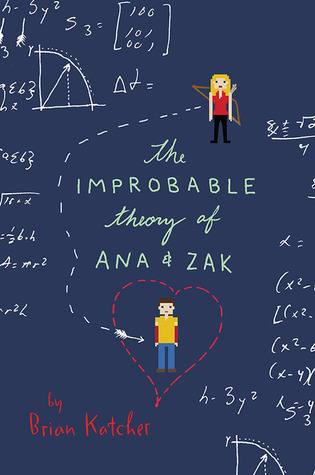 If you know you’re geeky, then The Improbable Theory of Ana & Zak is perfect for you! Have you ever given something that you are not familiar a try? For example, if you don’t read fantasy book, have you ever given a try? Or have you ever decided to go camping? Like real camping, without the air-conditioned cabin. If you haven’t given a try to something that you haven’t dare to, then I think you should. You never know if this will be your new passion. Ana Watson is the perfect student. She studies hard, signs up for extra curriculum, but she does this without having the passion. 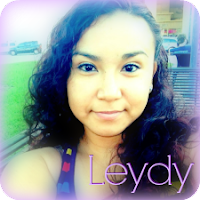 See she is the serious type. The type of girl that doesn’t try to enjoy life. Then there is Zak Duquette. The clown of the school. Don’t get me wrong, he is smart. But life has thrown him lemons and he is making the best lemonades out it. He tries to enjoy his life for the most part. Though he gets himself in trouble. As Zak is forced to join the quiz bowl to gain credit that he needs to graduate, he realizes he will be missing out on his yearly Washingcon sci-fi convention. Sure this may be just an event but to Zak, this convention is his life. It has meaningful memories and he will be missing out. When you put Ana and Zak in a room together, believe me there will be storm. These two are different from each other. But as Ana Watson's little brother, Clayton escape to go to the con, these two must work together to find him. What they don’t know is that they will learn from each other and become different people. Honestly, I really enjoyed this, more than I thought I would. It was funny, cute, and had geeky references in which I can relate to. So if you’re looking for a good one-sitting read while laughing here and there, then you should give The Improbable Theory of Ana and Zak a try. This was such a fun book! It had me laughing out loud quite a few times and the underlying messages were strong and nicely woven into the story. I did feel that the story line got a bit unbelievable down the road, which did taint my enjoyment, unfortunately.